Posted December 5, 2017 & filed under News Release. Curlin’s meteoric rise to elite sire status continued with momentum in 2017. 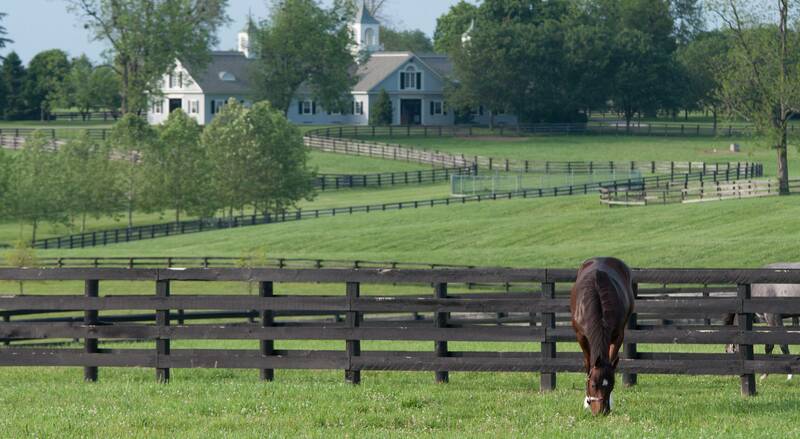 According to BloodHorse North American sire rankings, his progeny have earned $10,659,857 this year to date. He is the #1 dirt sire by graded stakes winners with eight total, including a pair of leading distaffers, an accomplished three-year-old, and an exciting Breeders’ Cup Juvenile champion. As 2017 draws to a close, we will highlight Curlin’s leading runners in each age bracket. Keen Ice continued to shine in his five-year-old campaign as one of the country’s top older horses. He won the G2 Suburban Handicap by a commanding three lengths, defeating stakes winners Shaman Ghost and Matt King Coal. He earned two G1 placings in the Whitney Handicap and Jockey Club Gold Cup before retiring to Calumet Farm with earnings of $3,407,245. He will stand his first season for $20,000. Stellar Wind bolstered her impressive record with a hat-trick of G1 victories comprised of the Apple Blossom Handicap, Beholder Mile, and Clement L. Hirsch. The hardy five-year-old mare has won G1 races in three consecutive years beginning in 2015 when she was named Champion 3-Year-Old Filly. She led the Keeneland November Sale when she sold to Coolmore’s M.V. Magnier for $6,000,000. She retired with a record of 10 wins from 17 starts with 9 graded stakes victories and earnings of $2,903,200. 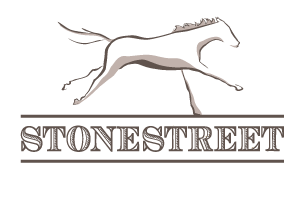 Stonestreet Stables homebred Terra Promessa earned three stakes victories in her four-year-old season, including G3 wins in the Bayakoa and Allaire DuPont Distaff Stakes. She was G1 placed behind Stellar Wind in the Apple Blossom. In six starts this year, she finished 1st or 2nd in all but one. She has retired to the Stonestreet broodmare band with a record of 7 wins in 16 starts and earnings of $920,350. Three-year-old Irish War Cry further cemented Curlin’s influence on the Triple Crown trail with G2 victories in the Holy Bull and Wood Memorial. His Holy Bull run bested 2016 Champion Two-Year-Old Colt Classic Empire by 8½ lengths, and he defeated future G1 Preakness Stakes winner Cloud Computing by seven lengths in the Wood Memorial. 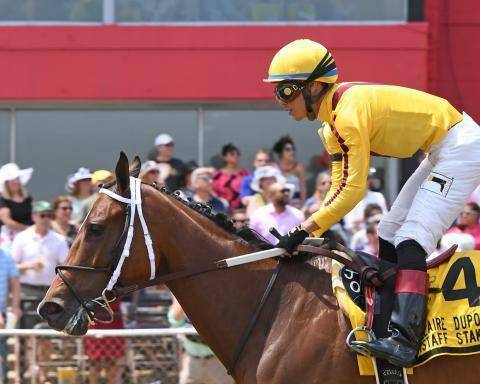 He finished a game second to Tapwrit in the G1 Belmont Stakes, marking the fifth straight year that a Curlin-sired horse has won or placed in a classic race. Irish War Cry will remain in training with Graham Motion for his four-year-old season. Curlin’s chief earner of 2017, with a bankroll of $1,216,600, is two-year-old champion Good Magic. 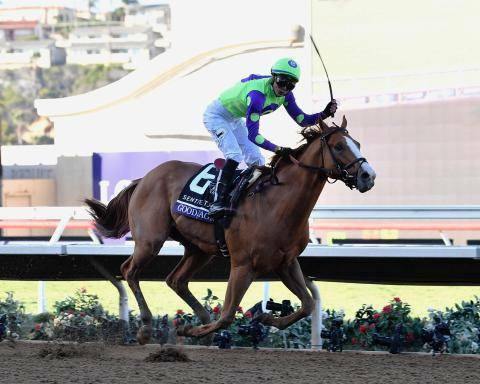 He scored impressively in the G1 Breeders’ Cup Juvenile over a deep field including graded stakes winners Bolt d’Oro, Firenze Fire, and Free Drop Billy. He chased the leaders before kicking away from his rivals, leaving fellow Curlin-sired Solomini 4¼ lengths behind in second. Only 1½ lengths separate Good Magic from an undefeated season. His determined 2nd place effort in the G1 Champagne was recently flattered by 3rd place finisher Enticed, who went on to win the G2 Kentucky Jockey Club. Good Magic has matured with every start, and the sky is the limit for this talented colt. 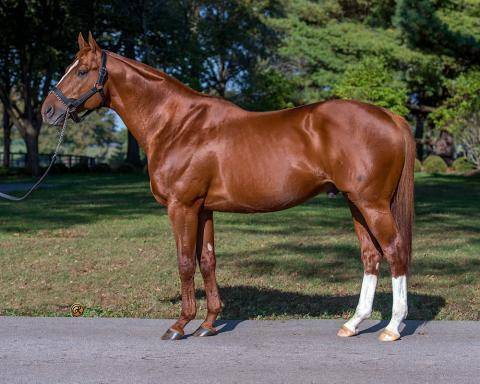 Curlin’s strengths as a sire are reflected in his progeny: versatility, dependability, and capability. Like many of his top runners, he has improved each year and has limitless potential to continue his climb of the leading sire rankings.